Doug Martin could be faced with the loss of his 2017 salary guarantee for his four-game suspension due to his violation of the NFL’s drug abuse policy. Clauses in Martin’s contract would allow Tampa to void his guaranteed money. Of course, Tampa’s main concern is for Martin’s well-being, but at some point, business will have to take place and the contract clauses surely looked into. Martin publically apologized, to fans, for his actions and most of us stand by Doug Martin, with prayers and uplifting thoughts. However many believe Tampa should move on from the running back citing that Jacquizz Rodgers out performed. Whether or not Tampa decides to move on from Martin is something that the Bucs Brass will have to determine. For the rest of us, we should show support for Doug Martin as a man and not just a player for our team, because addiction is no joke. 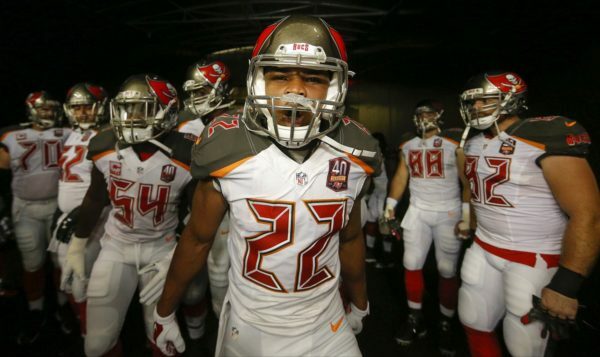 The Buccaneers re-sign Jacquizz Rodgers! Next articleBrent Grimes the one and only.